The SQL Server Database Administrator job is not a boring or relaxing job, as you will face new challenges every day. Although you may be required to drink multiple cups of coffee during your working hours, you still have the chance to sleep your nights without nightmares and enjoy your holidays without carrying your laptop everywhere as your baby … but only if you can master your tasks and responsibilities to be able to perform them efficiently. SQL Server Agent is a Windows service that is widely used by database administrators and developers to automate the different types of critical and complex business and administrative tasks, to be executed based on a regular predefined schedule. It provides us with the ability to schedule an operating system CMD command, PowerShell script, SQL Server Analysis Services command or query, SQL Server Integration Services package or simply a T-SQL script. 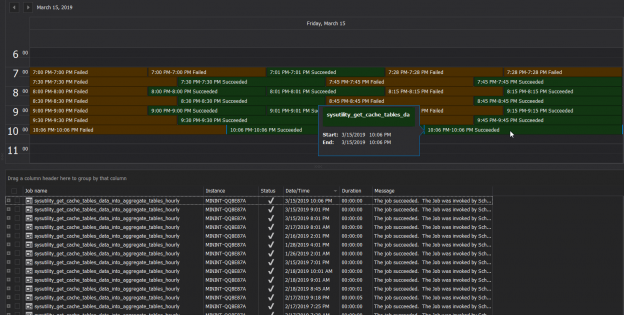 As a proactive database administrator, one of your main tasks is monitoring different activities happening in your SQL Server instances continuously. 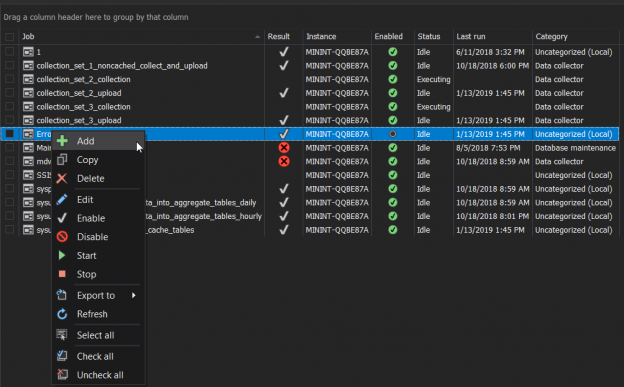 This article will cover SQL Server Agent capabilities and features as well as tools to extend and enhance these core capabilities. 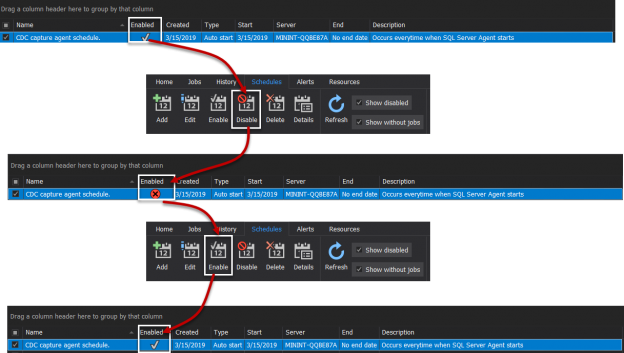 SQL Server provides us with the ability to schedule the different types of administrative tasks, in order to execute it automatically with customizable configurations. These tasks can be simple queries, database maintenance tasks, such as database backup, integrity check, re-indexing or statistics update, command prompt application, Microsoft ActiveX script, Analysis Services command or complex SQL Server Integration Service Packages. The Windows service that is responsible for scheduling and executing these tasks is called the SQL Server Agent Service.